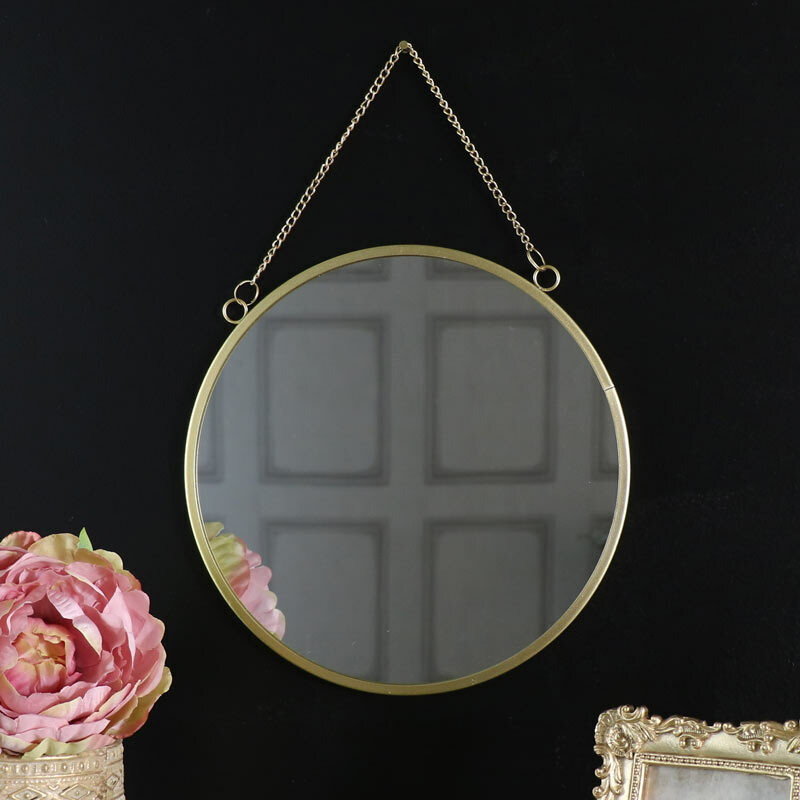 Add some vintage gold glamour to your home with this fabulous little mirror. Simple but incredibly stylish in a minimalistic design. 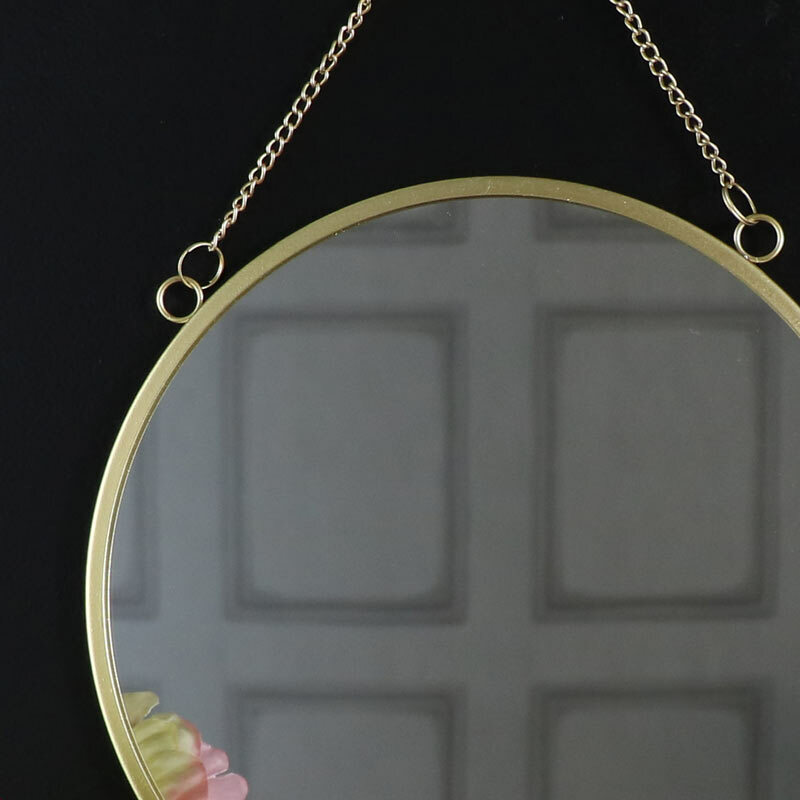 A great little mirror that adds a look of luxury with it's beautiful eye catching gold frame. Hung from a gold chain, the frame is finished in a metallic gold that also adds a slight art deco feel. Perfect for hanging in the living room, bedroom, hallway or bathroom. With the mirrored encased in a metallic gold painted frame and easily wall hung from a metal chain. The overall height including the chain is 39cm.